DO YOU KNOW WHERE THE NAMES OF TOWNS OR CITIES IN BRITAIN COME FROM? There are many towns or villages whose names contain the suffix -ford. Not only that, there is an important number of endings that get repeated over and over: -by, -ing, -ham, -bourne, -borough, -burg, etc. Why? These suffixes have a meaning. The names of towns and cities in Great Britain reflect the history of this nation. We can find workds that come from the different languages that were spoken at a given time in the land. Some are Celtic in origin, others are of Latin root and most of them are Anglo-Saxon, but we cannot forget the influence of the Viking invasions, especially in the North-East of Britain. The Romans stayed in Britain for several centuries, but the original inhabitants, the Celts, did not pick their language. 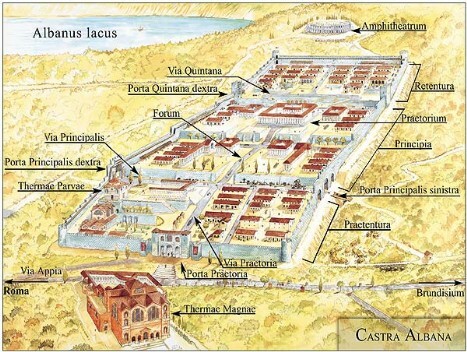 However, the military influence of the Romans was so overpowering, that the names of their fortifications or “castra” have remained with different spellings. Thus, we can find: Chester, Manchester, Colchester, Lancaster, Gloucester /ˈglɒstə/, Leicester /ˈlɛstər/ etc. From the word colonia, meaning settlement, we get the suffix -coln, as in Lincoln. The element port can have two origins, the word porta, meaning gate, or the word portus, meaning harbour, thus, we can find towns inland and by the sea that contain that root: Portsmouth, Stockport. From the word strata, meaning street, we have the root strat, as in Stratford. Although the Celts were the oldest inhabitants, not many words of Celtic origin remain in the language. From the word aber, meaning mouth of a river, we have Aberistwith in Wales, and Aberdeen in Scotland, but nothing in England. Other Celtic elements include coombe (deep valley), glen (narrow valley) and pen (hill): Coombe, Glenrothes, Penzance. burg, borough, bury, indicate that these places were once fortified settlements. The word derives from Germanic and can be traced in most countries in western Europe, including Spain and Portugal. 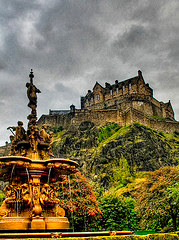 Edinburgh, Marlborough and Shaftesbury are some examples. eg (-ey) an island: Aldersey. ford - shallow place where water can be crossed. Oxford was originally a place where oxen used to cross the river. ham - a homestead. It is found in hundreds of place names. Tottenham, Clapham, Lewisham or Nottingham are just a few examples. The “h” is silent in many of these names. ingas (-ing) the people of …: Charing, Kettering, Ealing. Sometimes -ing is combined with ham or tun: Birmingham, Wellington. leah (-ley) a clearing: Crawley. stede - a place, site of a building, as in Stansted. tun - an enclosure, farmstead, is by far the most common ending of English place names: Luton, Norton. well - a well, spring: Stanwell, Southwell. wic - a farm or settlement: Keswick, Warwick, Norwich. Notice that the “W” is silent in these place names. worth - an enclosure, homestead: Letchworth. holmr (-holm) flat ground by a river. There are many places called Holme or containing this word in their names. thorpe - a secondary settlement, farm: Althorpe. thveit (-thwaite) a meadow, a clearing: Gunthwaite. toft - a site of a house and outbuildings, a plot of land: Blacktoft. After the conquest, the Normans changed very few place names in England. Most times they just added the name of the family that owned the land. Thus, Ashby-de-la-Zouch or Herstmonceaux state who their owners were in the past. Other French names are those beginning with Bel or Beau, meaning fair or beautiful: Beaulieu, Belgrave, Beaumont. Richmond is also French, meaning strong hill (riche mont). As you can see, the different endings or elemnts of place names give us a lot of information as to the origins and history of the place, relating it to the poeple that used to inhabit it long ago. If you would like to know the original meaning of a place name in England, this website of the University of Nottingham can be of great help.